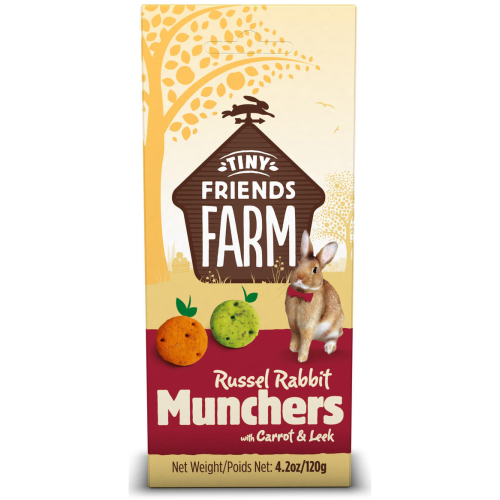 Russel Rabbit Carrot & Leek Munchers are irresistible baked treats. 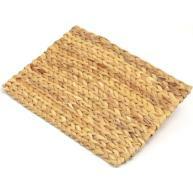 Made with the wholesome goodness of natural grains and tasty vegetables. 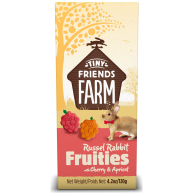 An ideal treat for small pets, you can feed them by hand and share a special moment! 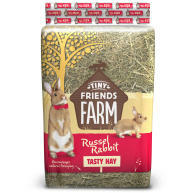 Suitable for rabbits, guinea pigs, chinchillas, hamsters, gerbils, rats and mice. Wheat flour, whole wheat flour, oatmeal, soya oil, carrots (6% in orange biscuits), sugar, wheat bran, leeks (6% in green biscuits). 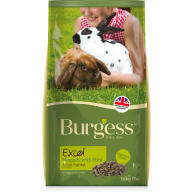 Feed as a complement to your pet’s regular diet. Feed 1 – 2 treats/day, depending on the size of your pet. Always remember to supply fresh hay/day as well as clean drinking water and food.